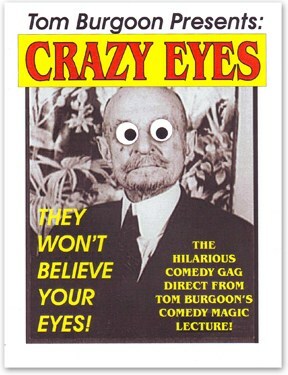 These goofy looking eyeballs will shock your audience into hysterics. World renowned comedy magician Tom Burgoon brings you a unique way to get your audience rolling straight from his comedy lecture. The possibilities for this hilarious site gag are endless.